- With the dedicated BlueSolar Pro Remote Panel (see features below). - Lighting control function, fully programmable. - Three stage battery charging (bulk, absorption, float), fully programmable. - Integrated battery monitor function (Remote Panel needed to display state of charge). 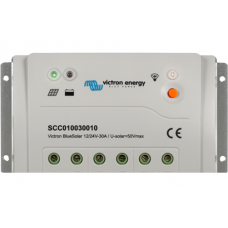 - Load output with low voltage disconnect and manual control (default setting). - Optional external temperature sensor. - Load output protected against over load and short circuit. 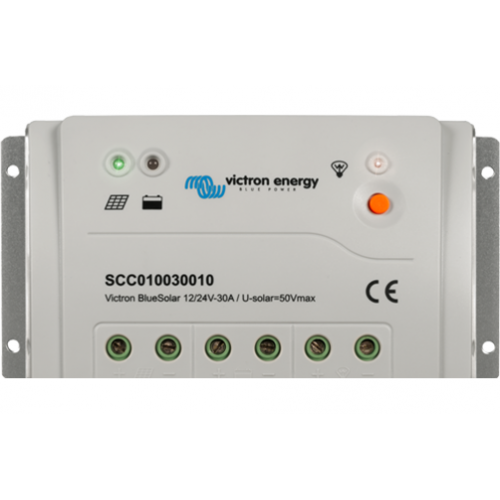 - Protected against reverse polarity connection of the solar array and/or battery.